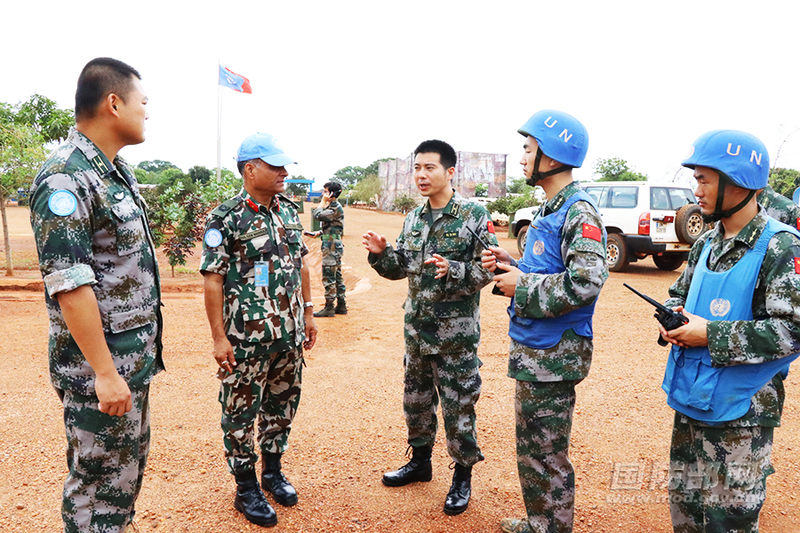 Chinese peacekeeping engineers are confronted with mock militants during the joint defense exercise with peacekeepers from other four troop-contributing countries (TCCs) including Bangladesh, Nepal, India, and Cambodia in the Sector West of the United Nations Mission in South Sudan (UNMISS) in Wau on July 19. WAU, July 23 (ChinaMil) -- The 8th Chinese peacekeeping engineer detachment to Wau of South Sudan conducted joint defense exercise with other peacekeepers from four troop-contributing countries (TCCs) including Bangladesh, Nepal, India, and Cambodia in the Sector West of the United Nations Mission in South Sudan (UNMISS) in Wau on July 19, to improve their ability to jointly deal with emergencies. 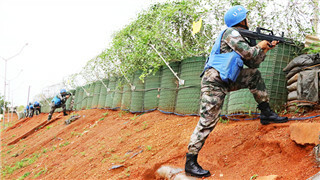 The security situation in Wau of South Sudan remains volatile and there were already 12 armed attacks against peacekeepers in this area since June 27 to July 19. 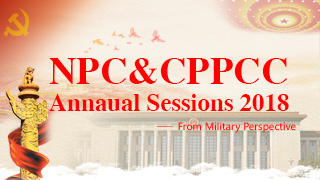 In order to further strengthen the security capabilities of the peacekeeping camps and ensure the troops’ effective response to violent attacks against UN staff members by militants, Chinese peacekeepers have been closely coordinating with the four TCCs' peacekeepers to tackle various problems. The exercise included such scenarios as large-scale riots caused by fights in refugee camps, the targeted attack at the UN compound by armed militants, and attacks at No. 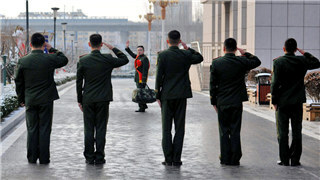 15, 16, and 17 UN sentry posts manned by the Chinese peacekeepers. 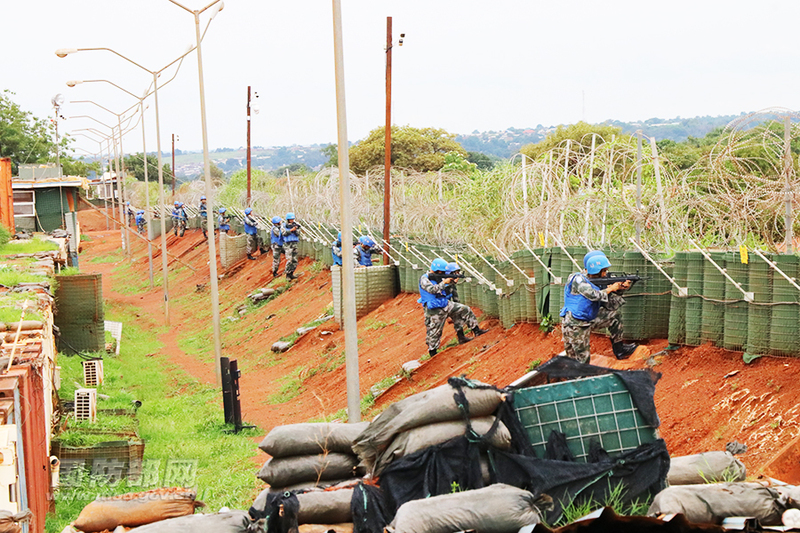 In the exercise, the commanding team of the Chinese peacekeepers handled the "dangerous situation" resolutely according to the pre-planning measures, effectively preventing any escalation of the situation, and provided assistance to other troops in handling the emergencies. 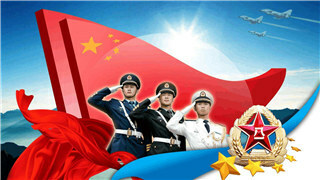 Brigadier General Nain Raj Dahal, Sector West Commander of the UNMISS, highly praised the handling capacity of the Chinese peacekeepers. 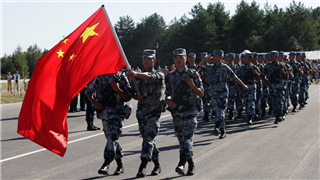 It is understood that the 8th Chinese peacekeeping engineer detachment to Wau in South Sudan has also taken initiative to establish an information sharing mechanism with its TCCs partners in Sector West to jointly handle relevant risks and challenges. 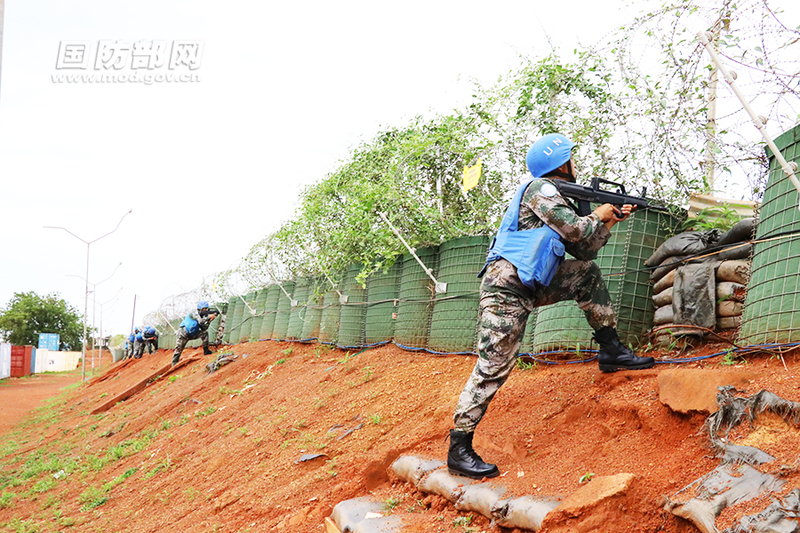 Chinese peacekeeping engineers launch counterattack against mock militants during the joint defense exercise with peacekeepers from other four troop-contributing countries (TCCs) including Bangladesh, Nepal, India, and Cambodia in the Sector West of the United Nations Mission in South Sudan (UNMISS) in Wau on July 19. 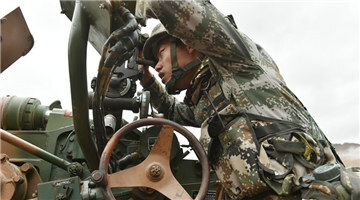 Brigadier General Nain Raj Dahal, Sector West Commander of the UNMISS, listens to the disposal measures of the Chinese peacekeeping engineers during the joint defense exercise. 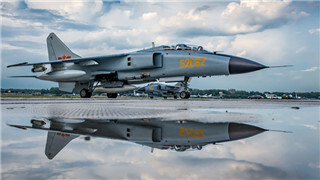 In pics: Chinese Air Force aircraft arrive in Russia for "Aviadarts-2018"